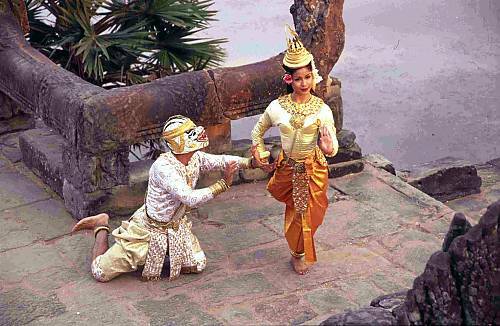 UNESCO continues to assist several countries of the Asia-Pacific region in safeguarding their intangible cultural heritage. Thanks to the generous support of the Government of Japan two different activities have been organized in October 2013. The first one will allow Samoa to strengthen its national capacities to safeguard its rich intangible heritage thanks to a six-day Community-based Inventorying workshop organized from 21 to 26 October 2013 in Savaii Island. Organized by UNESCO Apia Office in collaboration with Samoan national and local authorities, it will be facilitated by UNESCO trained experts Noriko Aikawa from Japan and Anthony Parak from Papua New Guinea and will bring together some 50 participants ranging from ICH custodians, traditional leaders, senior officials responsible for ICH safeguarding, NGOs, community-based organizations etc. It aims at enhancing the national capacity of Samoa, both in government institutions and in civil society, to safeguard its intangible cultural heritage on a long-term basis, particularly through the inventorying of intangible cultural heritage components, the active involvement of the communities concerned in this exercise and hands-on experience at Gataivai Village in Savaii Island. The second one is a workshop on the preparation of nomination files to the UNESCO Intangible Cultural Heritage Lists that will be held in Phnom Penh, Cambodia from 21 to 25 October 2013. Conducted by the UNESCO-trained facilitators, Suzanne Ogge from Australia and Rahul Goswani from India, the event is the final of a series of three capacity building events over the last 18 months aimed at the safeguarding of the manifestations of Cambodia’s living heritage. The training workshop, which the UNESCO Phnom Penh Office is organizing in partnership with the Ministry of Culture and Fine Arts, will provide training on how to prepare nomination files for the Urgent Safeguarding List and Representative List, as well as proposals for the Register of Best Practices and requests for international assistance. The training strategy will provide the participants with the knowledge of preparing complete nomination files by understanding how they will later be evaluated and examined. The expert trainers will lead around 30 participants from concerned government agencies, members of the academy, ICH practitioners and community members.